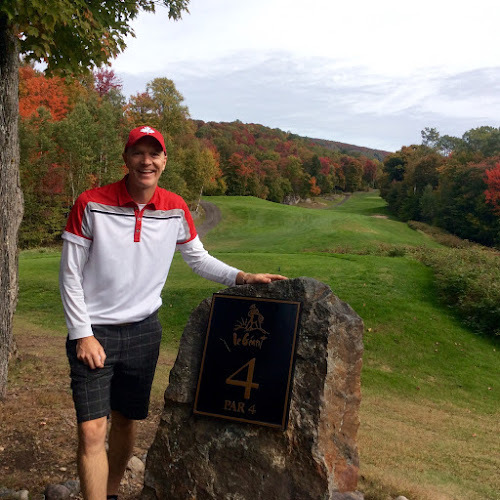 I've been back in Ottawa for about 13 years now and I finally made it up to Mont a Tremblant this past weekend. Even though it's only about 2 and half hours from my house it's been an illusive destination for me. I was finally happy to cross it off the list especially at this time of the year. The Fall is a special time to golf not to warm not to cool and this past Saturday it was perfect for Fall golf at Le Géant. Designed by Thomas McBroom in 1995 I was excited to finally golf rated #67 recently by ScoreGolf.com. 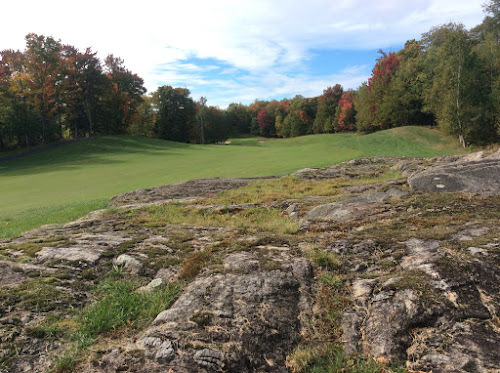 It's not easy to crack ScoreGolf.com's Top 100 Best Golf Courses in Canada and I've played over a dozen on the list. So here's my thoughts. The putting green by the first tee. Le Géant starts out nicely. 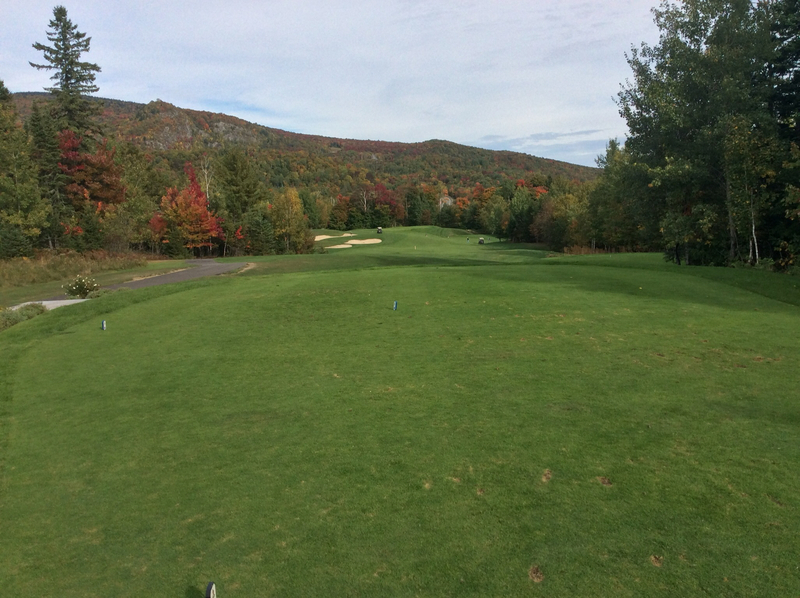 A great way to start with a fairly benign flat par 5. 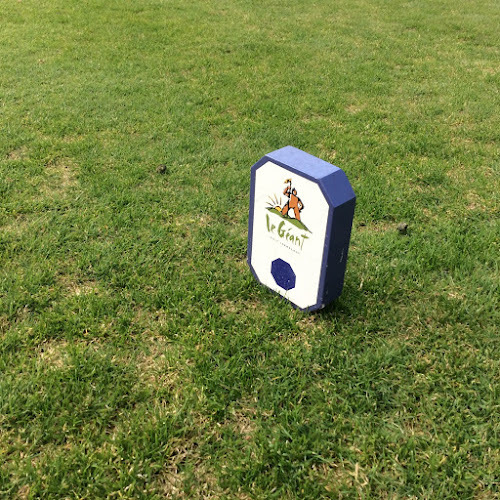 You'll notice these forward markers on the fairways a great way for juniors and short hitters to enjoy the game and not make it to difficult. You're seeing more courses do this and I applaud Le Géant and other courses that do this. Please make sure you choose the right tees as it's important for pace of play especially if you haven't plaid course before. Hole #2 is a dogleg left with water down the left side, intimidating for right handed golfers but there's a fairly large landing area and pretty flat too. 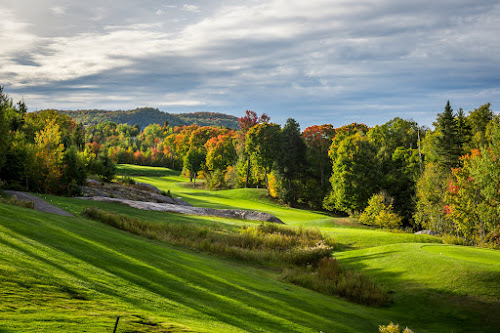 When you get to hole #3 that's when McBroom shines he uses the natural terrain to sculpt a beautiful par 3 and the Fall trees were just starting to glow. Hole #4, one of the tougher par 4s with a sloping fairway left to right for a right handed golfer. This is one fairway that's tough to hit. Again the hole is designed beautifully through some rocky Laurentian terrain. 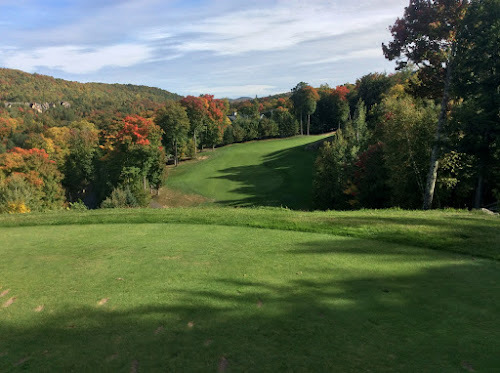 This picture was taken from the par 3 6th hole another great par 3 one of the strengths of the golf course. You can also see part of the 5th hole (pic below) atough left to right slopping par 4 similar to #4 just not as narrow. 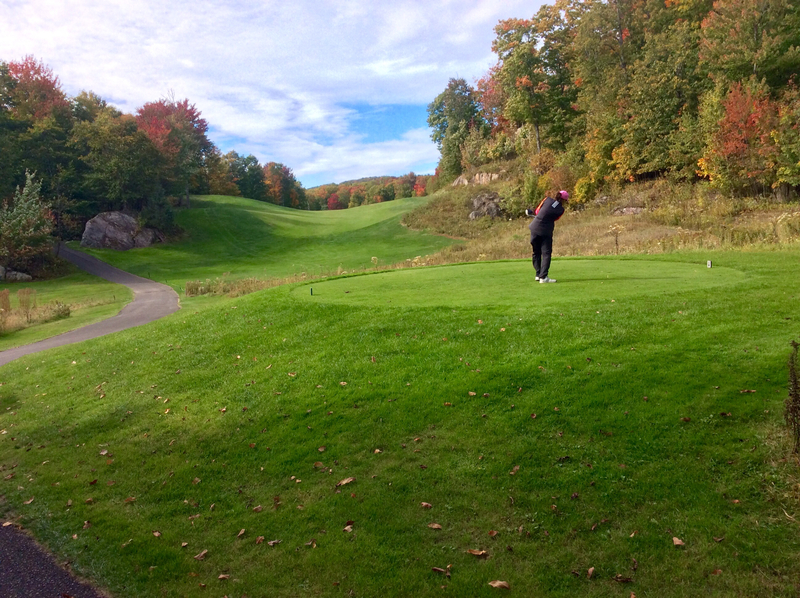 Beautiful backdrop for this tough hole. The beautiful par 5 7th one of my favorite holes. With a good drive you can go for this green in two. 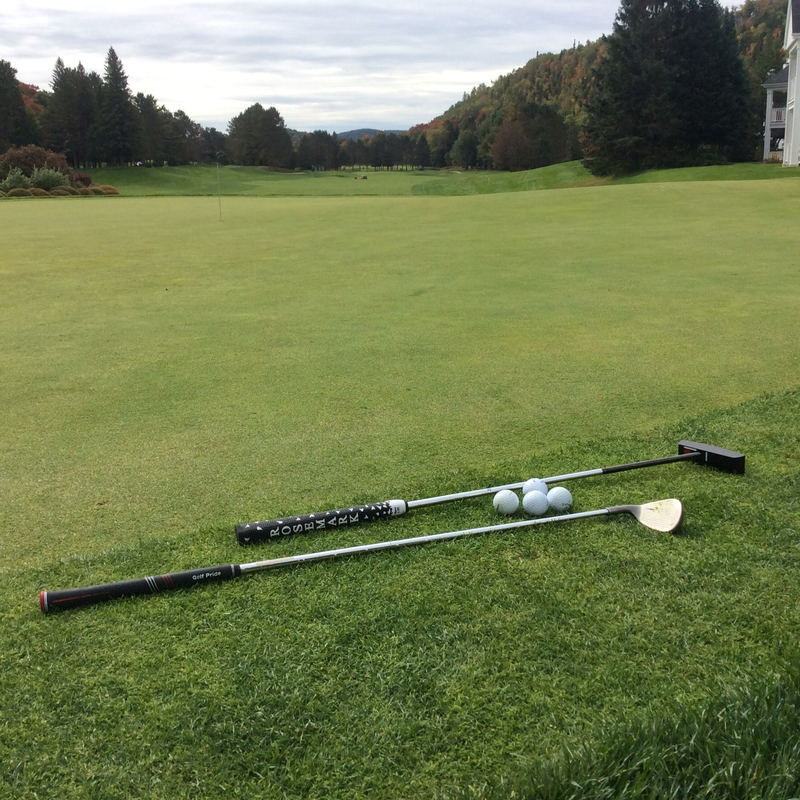 The greens at Le Géant are tough with many subtle breaks. Most greens had multiple tiers and undulations so just getting on the green doesn't guarantee a two putt. So be warned. 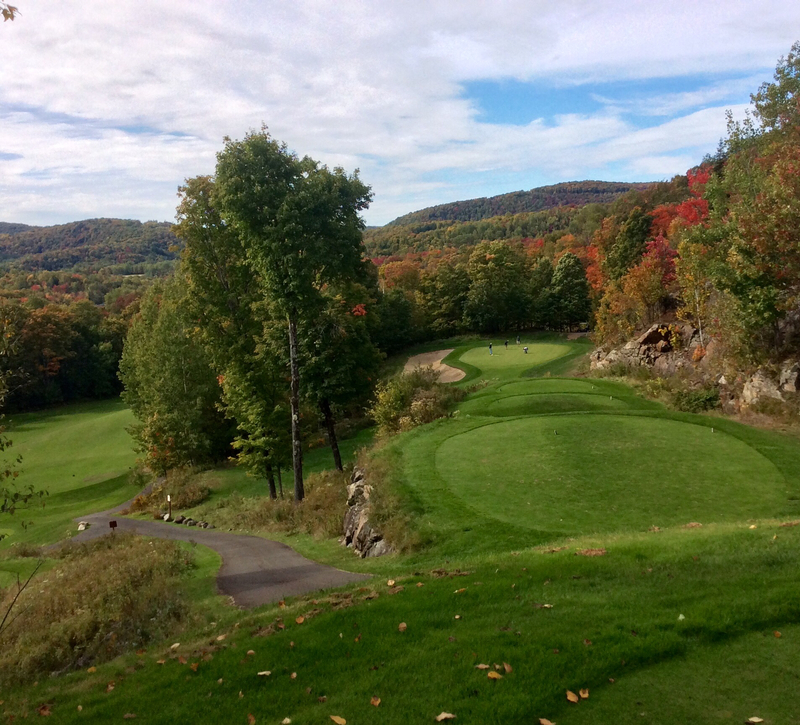 The front 9 at Le Géant closes out with two par 4s. 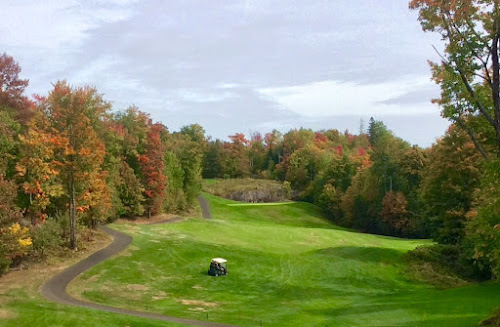 Both play slightly downhill #8 to the right and #9 to the left. 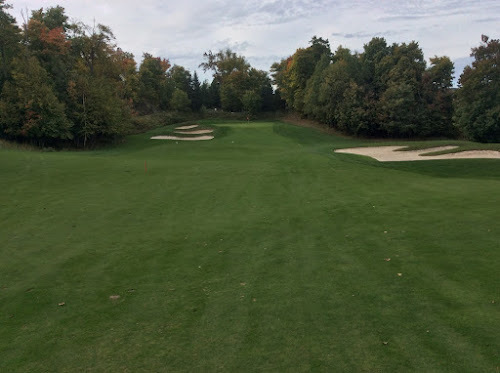 #9 definitely has a more difficult tee shot with what seems like a narrow shoot to hit through. 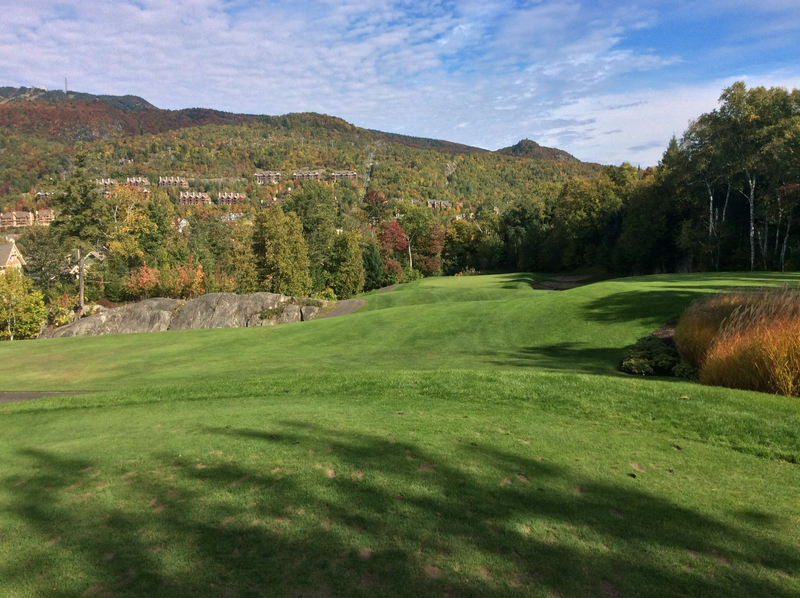 The back 9 starts off with another tough par 3 one of the strengths of Le Géant. Tough target to hit and to long or left is not good and right side has a bunker. 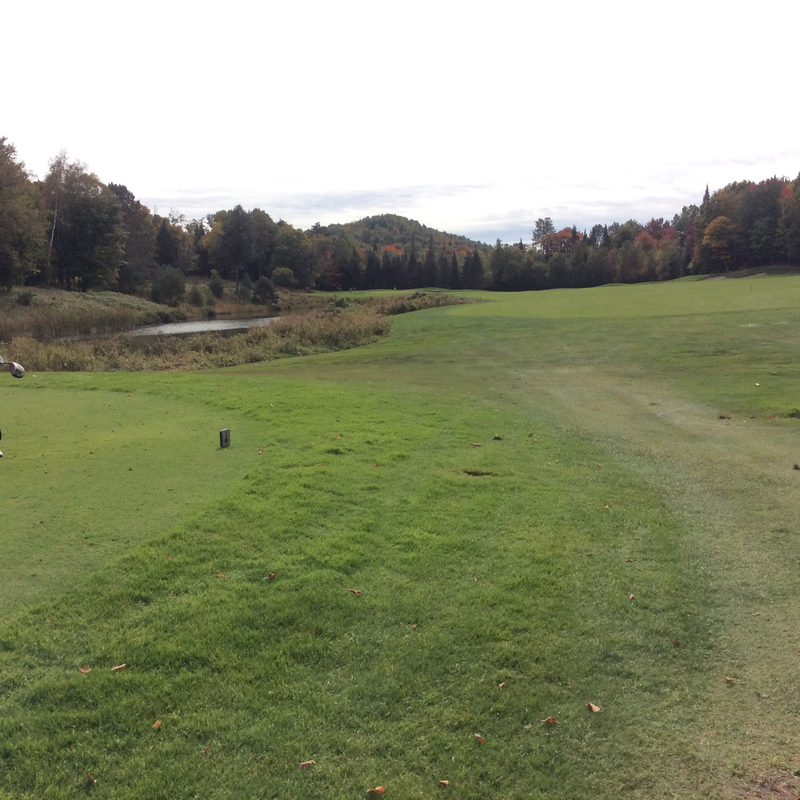 McBroom designed a challenging par 3 at only 149 yds. from the black tees. Not a huge fan of doglegs but #11 with its elevated tees is fun where you don't hit driver and just play position golf. Everything slopes right to left so aim to the right and get the friendly kick. Hole #12 is the toughest par 5 on the back mainly because of the uphill tee shot to this dogleg par 5. 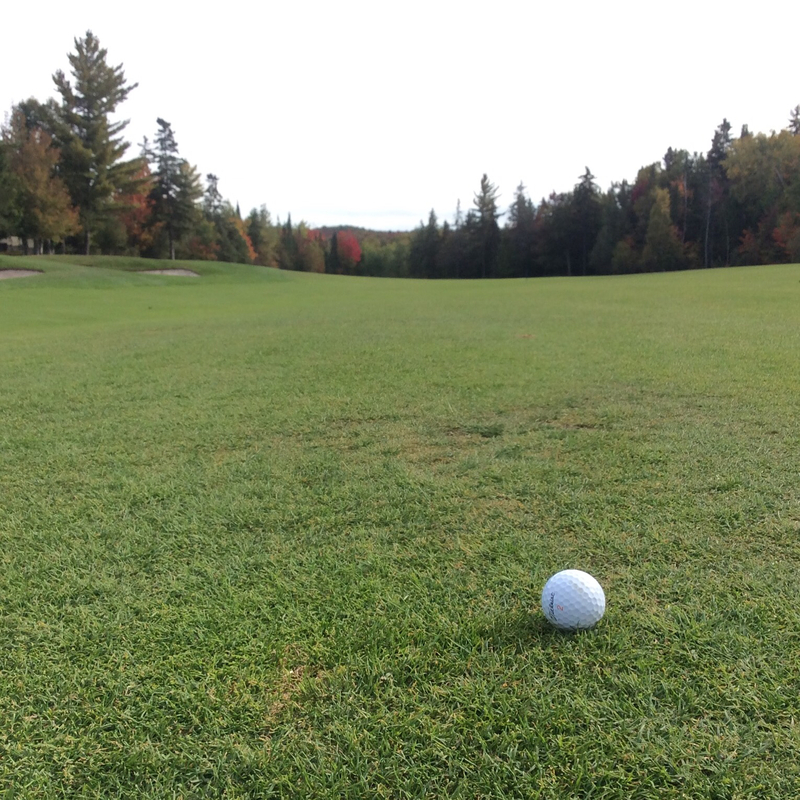 A driveable par 4. Number 13 is a hole everyone loves slightly downhill, a draw will benefit you greatly on this hole. Be happy with par as playing to aggressive can net you big numbers. The 14th is another slight dogleg par 4 that plays slightly less then its 342 yds do to the fact it's downhill. 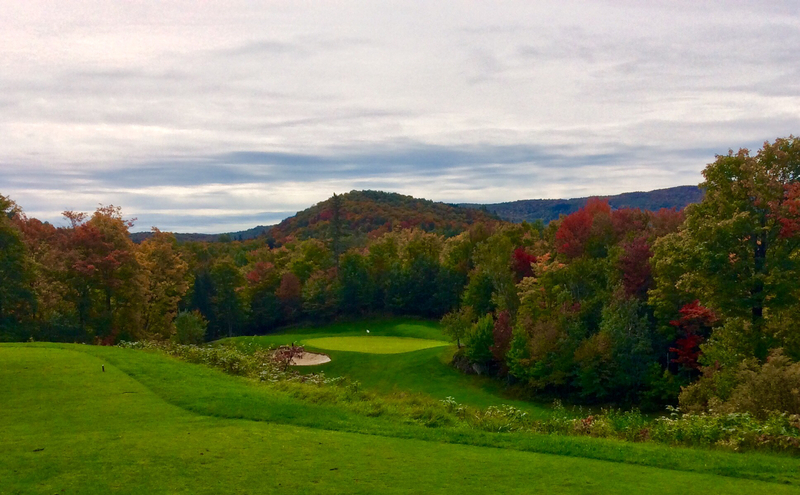 Le Géant closes out with the perfect trio of holes. 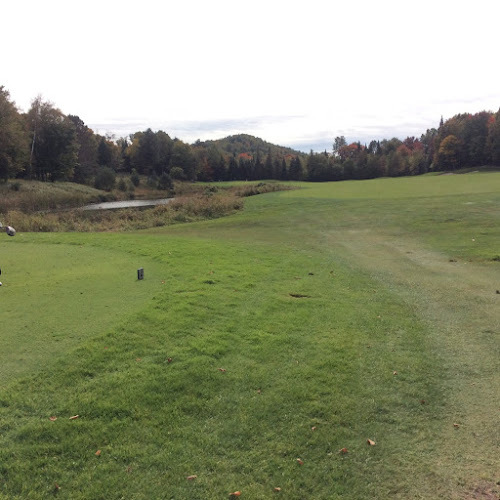 A par 3, a par 5 and the par 4 signature hole. The 17th my favorite par 5 at Le Géant. Has it all, challenge, length and views. The signature hole at Le Géant named "Concentration". Lac Tremblant in the background. 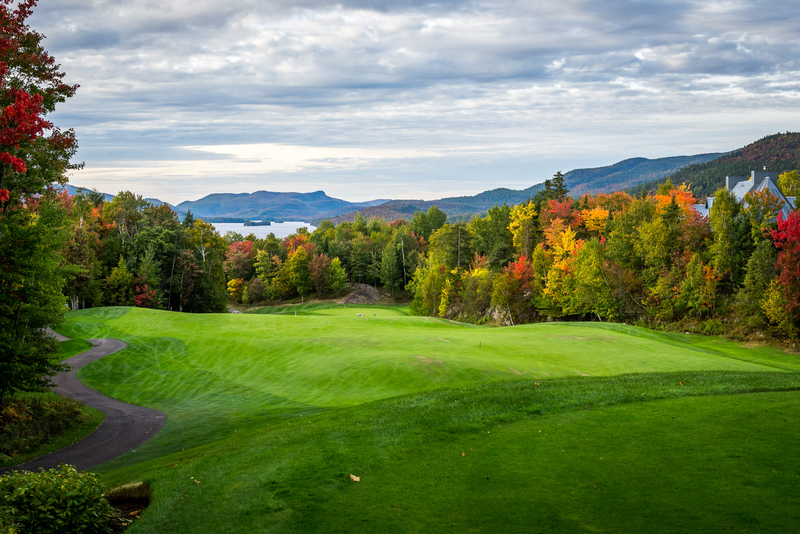 Le Géant is the perfect golf course to play with in the Fall. With the amazing vistas especially on the closing holes. It's a special place to golf. Challenging for all skill levels of golfers. 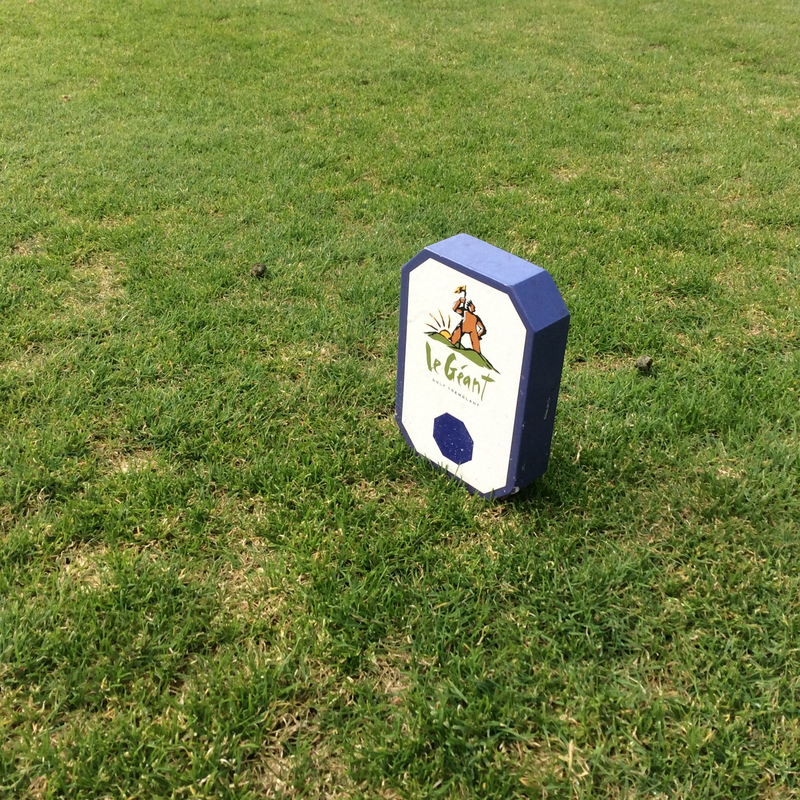 Make sure and play from the right tees as we definitely had a problem with pace of play the day we played. Just play ready golf and keep up with group ahead of you. The course was in great condition and the greens played very true although I could never really figure out the breaks. The staff was top notch and answered any and all my questions. Playing Le Géant will cost you between $49 and $139 Cdn. Depending on if you play twilight or during peak Summer times. Very reasonable for this caliber of golf experience. It was finally nice to cross off Le Géant from my golf bucket list. It's just to bad it took me so long.